Are you familiar with all of the categories of tools available? Are there categories you need to learn more about? What new tools do you hope to explore that might help you achieve your goals? 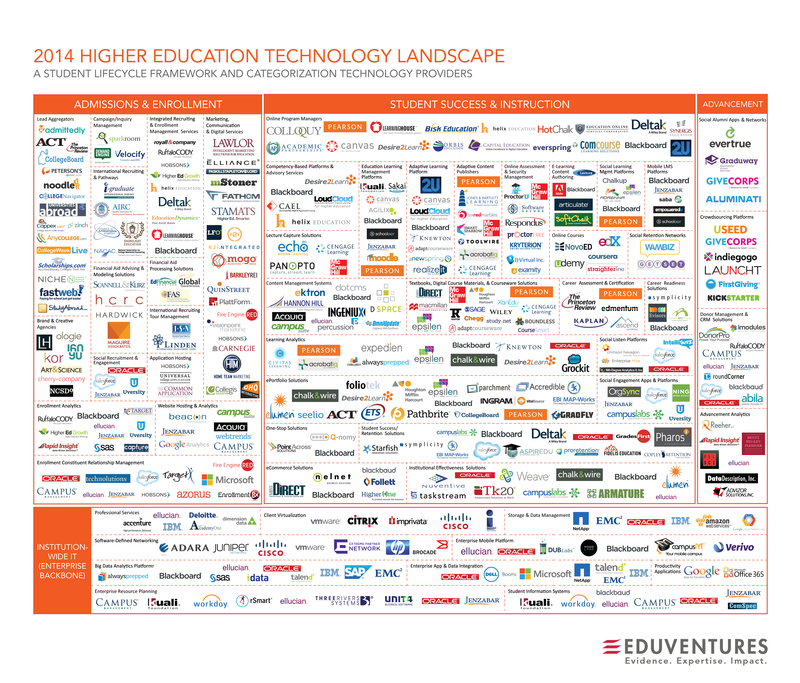 In addition to The Conversation Prism, the folks over at Eduventures have created a taxonomy categorizing many of the higher education technology providers broken down by segment. 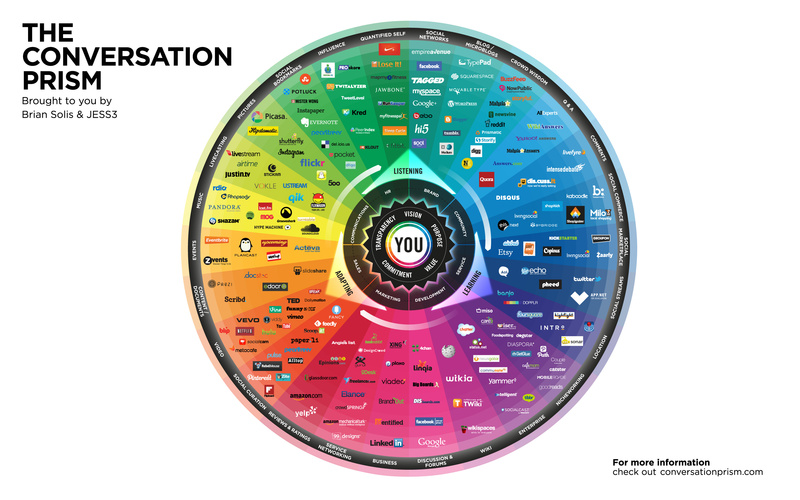 Although not as visually striking as the Prism, the following will give you a starting point when you’re looking for solution providers to your edtech needs. Again, click the infographic to enlarge.